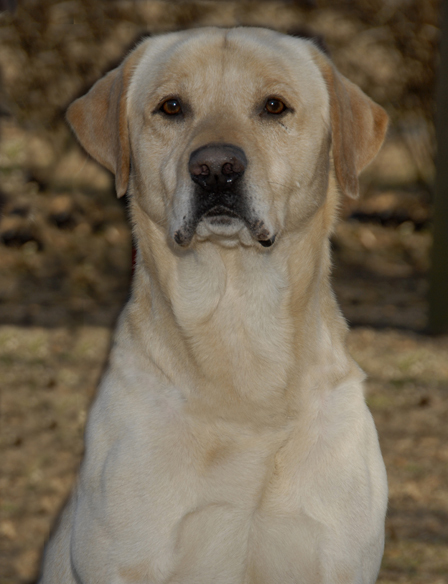 Stud - "Swift Creek Kennel "
Cooper was action packed, total excitement, good looking, georgeous head, he had it all! One of our best stud dogs. 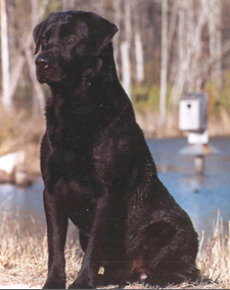 Millpond's Black Marsh Bomber "Blake"
Personality Plus and a head "to die for". 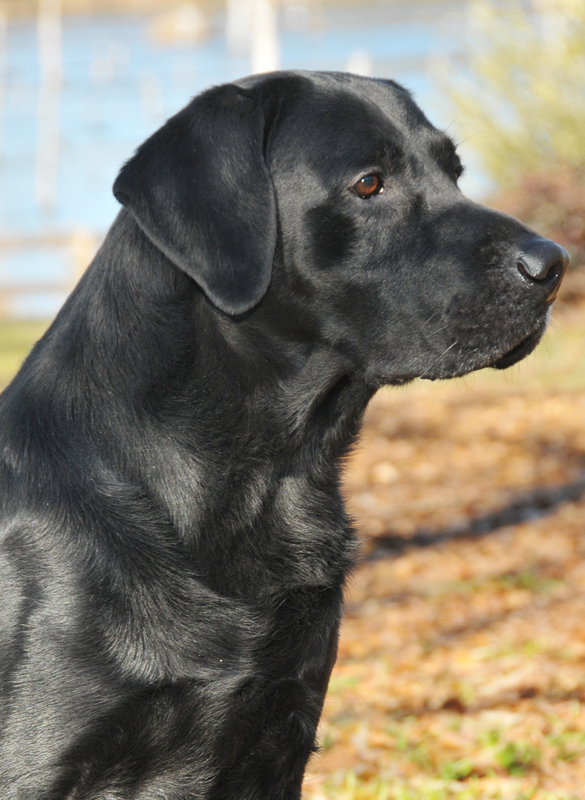 This fine fellow is a great gun dog, a great house dog and has never met a person he considers a stranger. Throws yellow and chocolate. Swift Creek's Sole Survivor "Drae"
The last male from our late "Lovely Liza" (Grandson of Brook). Our signature line that years ago brought the "white" (light yellow) labs to our area. 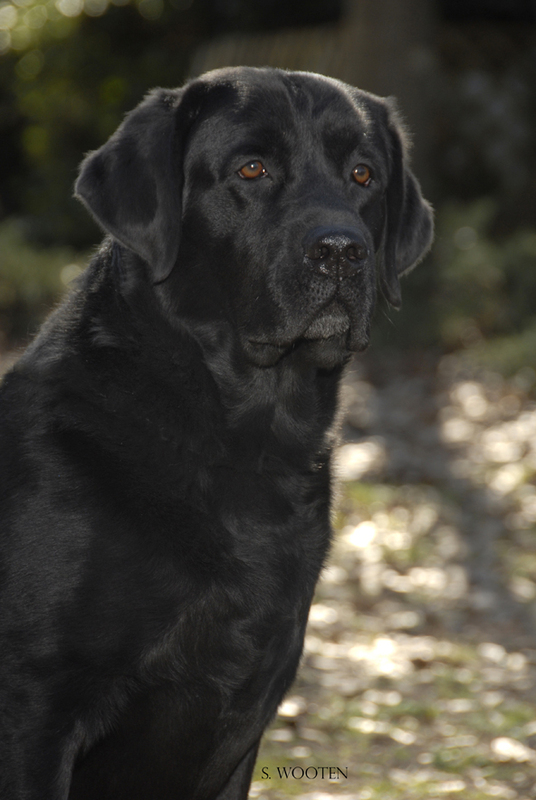 Drae loves to retrieve and has that regal manner we have come to love and appreciate. Need some power in your pooch? Look no further, this is it! 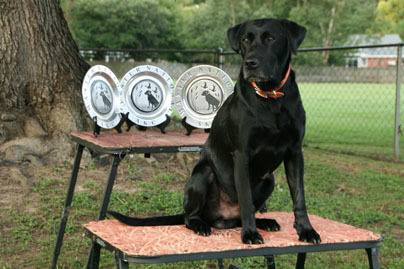 Good looking, field trial champion bred dog with all the desire and dependability anyone could ever dream of. Sky is consistent, easy going but has a lot of drive. He has passed 4 Master Nationals in a row and will be going or his 5th pass this fall in Cheraw, SC. When at home he enjoys being in the lap of his owner Tom. Chocolate! Yes a chocolate from Swift Creek Kennel. And we bred it on purpose. A product of our late, great "Kyle" MH and a shwbred chocolate lady, "Bayou", JH. Splash is magnificant to look at and watch in the field. Desire, makring, handling, personality, it's all there. Black Majik's Walk the Line, MH "Cash"
Son of the late "Cooper". Passed the Master Nationals in 2011. Cash has lived up tot he inherited traits from his father. Intense, desire, determination and oconfidence all producing a most fun and entertaining style in his work ethic. River is owned by Tricia McKenzie of Charleston. He has a lot of desire, drive and personality. He is handsome and a good size for a Boykin. River is currently working on his Senior Hunter Title with the AKC. When River is not in school, he is being spoiled by his mom. 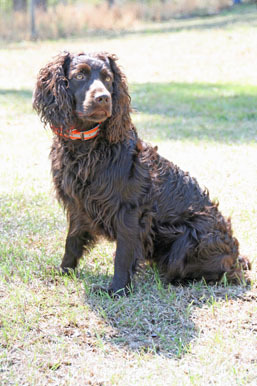 River has had alll health clearances suggested by the Boykin Spaniel Society. For more information please contact Swift Creek Kennel.